The average cost of landlord insurance is £217 a year, which is down from £230 from last year, according to research from insurance broker Alan Boswell. You can get a quote from Alan Boswell here to find out how much your landlord insurance will cost. Or check our list of the best landlord insurance policies. The broker's research shows that the average price of rent guarantee insurance, which can protect your income if your tenants are unable to pay their rent, is £60 when bought alongside a landlords insurance policy and £75 when bought standalone. This includes legal expenses. Alan Boswell also looked at the average claims from landlords. For legal disputes, including the cost of evictions, the average claim was £1,544.35. For claims relating to the rent guarantee part of their policy, the average claim amounted to £3,039.24. 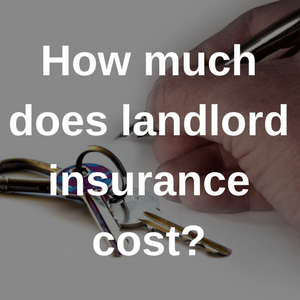 Other companies have different figures for the average cost of landlord insurance. Uklandlordinsurance.com estimates the price to be between £120 and £220 per year. It also says cheaper insurance, such as just buildings insurance, could be as little as £150 per year. Bear in mind it's difficult to predict the cost of landlord insurance because of how many variables are involved in the quote process. 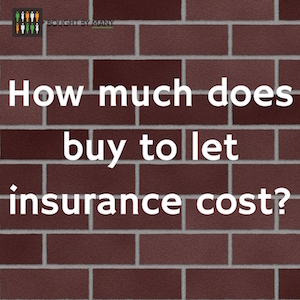 This means that your own landlord insurance could be more or less expensive than this average. 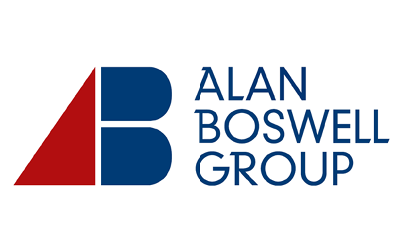 You can get a quote from Alan Boswell to see how much your cover will cost. The age of the property; whether it is a flat, a house, or anything in between; the number of rooms it has; and what the roof is made of will all affect your insurance premium. If there is anything unusual, or what insurers might describe as 'non-standard', about your property, it can be more difficult to get cover. For example, if it is a listed building or in a flood area. Your tenants may make a difference to the cost of your landlord insurance. If you are letting out the house to students, your insurance may cost more than if you were letting to a couple in full-time work, for example. There are usually three types of policies for landlords: buildings, contents, and combined. You'll then need to set your cover levels which will be based on the rebuild cost of the property and amount of contents inside. Landlord insurance policies often have a number of optional extras, including legal expenses cover, rent guarantee insurance and home emergency cover. Some of these are worth considering. For instance, in 2012, nearly 100,000 tenants in the UK were in arrears. Rent guarantee insurance can protect your income if your tenants don't pay their rent. Where your property is can make a big difference to the cost of your insurance premium. For instance, properties in London and the South East will generally be more expensive to insure than homes in other places in the country. Whether or not you have made a claim on your insurance before can alter the cost of your premium. If a claim was rejected or you've been refused insurance in the past it can make getting cover more difficult. If you own more than one property you may be able to cover them both with the same insurer. Obviously, the price for multi-building cover will be more but some insurers or brokers may offer you a discount. You can find out more about landlord insurance by reading our best landlord insurance article. It can be difficult to significantly reduce the price of your landlord insurance quote, as it is largely based on the building and the value of your contents. However, there may be some things you can do to lower landlord insurance costs. Make sure your property is secure. Insurers favour properties fitted with increased security measures. This includes having strong locks on your doors (5 lever mortice deadlocks are preferred), locks on the windows, and a burglar alarm. Keep your property in a good state of repair. This is a responsibility you have to your tenants but if you keep the property in a good state, for example, avoiding any burst pipes, it can help with your insurance quote. Alter your policy excess. This is the amount you will have to pay towards the claim before the insurer pays out. Some insurers offer the option of increasing an excess. This can bring down the price of your premium, however, if you do have to make a claim, you will have to pay this, so make sure it is affordable. Cheap landlord insurance doesn't always equal good cover. Often with insurance, you get what you pay for. Make sure you are covered for everything you need. Sometimes, this may mean you have to pay a higher premium for more comprehensive cover. Check out our best landlord insurance article for more information on this subject. 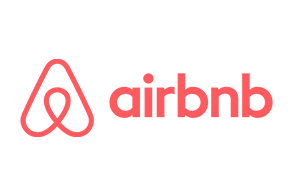 Check out our article on the best landlord insurance.